An NHS trust was forced to buy care records software through the National Programme for IT or face the threat of an £8.8m fine - even though it had a longstanding supplier in place. An NHS trust was forced to buy software through the National Programme for IT or face the threat of an £8.8m fine - even though a small supplier had already been supplying its electronic care records (ECR) system since 1998 for a fraction of the price. Oxfordshire and Buckinghamshire Mental Health Trust (OBMH) was forced to accept a business plan that forecast a £350,000-a-year starting cost to use BT's RiO ECR system, replacing an existing system that cost £91,000 per year to run. The RiO software was considered so unsuitable that the trust expected it would incur inestimable additional costs to develop the system after central funding for the National Programme for IT (NPfIT) is cut in 2014. The trust also anticipated the system would remain so deficient and BT fees so prohibitive that it would have to buy secondary systems to fill in the gaps, according to the Full Business Case report produced by OBMH in April 2010 and obtained by Computer Weekly under Freedom of Information. The trust's existing ECR, supplied by Beckenham-based Maracis Solutions, was already operational and the report said that switching it off would free up only £91,000 per year. However, OBMH had been "obliged" in 2008 to sign a statement of intent to buy the RiO system supplied by BT under central NPfIT contracts. That statement had mandated OBMH to use the system or incur a fine. The report said the trust would be held to these terms even though NPfIT changed the agreement. "Implementing the mandated system is the only option to avoid the potential direct or indirect circa £8.8m exit penalty," said the Full Business Case document, when weighing up the options. "This may elevate this choice above other solutions which could deliver more benefits." The trust found RiO would be one of the most expensive options it could take, unless it took the fine into account - then it was the most favourable. That was without including additional costs the trust would incur because RiO would not meet its business needs. RiO had an attractive user interface that made a strong impression on clinical staff at OBMH, said the report, but it lacked key functionality such as support for Payment by Results, an NHS initiative, and it was unable to work across mental health and community sites. BT was moreover offering the NHS a lesser version of RiO, said the report. OBMH did not think it would be able to afford the full version when it was left to its own devices after 2014, though this had desired functionality. Nor could if afford to pay for BT to add required functions individually. RiO had already proven incapable of meeting a key requirement, which was for an ECR system that could quickly adapt to changing circumstances. Development of RiO was slow and inflexible, claimed the report. "BT has not been able to progress the RiO product versions as quickly as originally indicated. As a result, OBMH now finds itself in the position where it is contractually 'obliged' to proceed with implementing a version of RiO that at best represents a sideways step," said the report. "Furthermore, in deploying the current version of RiO, OBMH will also need to implement additional subsidiary systems so as to address the shortcomings of RiO and provide the flexibility it needs to address emerging and future requirements." RiO would also impose "significant hidden delivery costs" because the trust was not allowed to see the NPfIT contract under which the Department of Health secured RiO's delivery. The OBMH report also highlighted the disadvantages of the Maracis system. NPfIT had rendered OBMH's existing system "unviable" as a long-term option, it said. Maracis might not be able to keep up development of the software because there is no longer a market for it in the NHS. 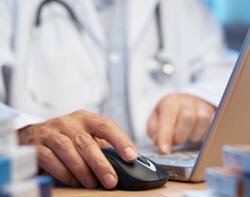 Maracis had already failed to update its Primary Care Information System (PCIS) with NPfIT features such as connectivity to the central NHS "spine". And it said the system was 15 years old and Maracis might not have the resources to keep it up to date. Ali Mehmet, managing director of Maracis was angry about the report. "The National Programme has killed the market," he told Computer Weekly. "Oxfordshire are being told to take RiO or they will be fined £8.8m. Why would you spend money on something you're not going to deploy? The trust doesn't have any contractual relationship with BT. But BT will be paid whether they deliver the system or not." He said the report's criticisms of Maracis were unfounded. He said PCIS was "bang up to date". Lincolnshire was the last trust that went live with it in 2009. The only reason PCIS didn't have spine connectivity was because Maracis' NHS customers did not want it, he said and had refused to use the NHS Choose and Book system that connected via the spine. Mehmet said Maracis charged OBMH £60,000 a year for a licence that included support, maintenance, disaster recovery and any software developments required to meet Department of Health mandates, plus free development of software functionality required by the firm's NHS user group. Additional bespoke development would put the annual cost of PCIS up to £ 70,000-a-year, he said, one-twelfth of the base cost of RiO. The OBMH report provided an extensive list of IT-enabled projects the trust had implemented in the last 11 years, most of which required Maracis to implement modifications of PCIS. These were made on a yearly basis, with six such projects being implemented in 2006. The report said OBMH was in an "enviable position" because it already had a "comprehensive" ECR system - a key requirement of the ECR business case - but nevertheless resulted in the decision to adopt the RiO system. BT declined to comment, and the Department for Health had not provided a comment at the time of writing this story.